The Assassin’s Creed series has been on a slow and steady decline ever since 2010's Assassin's Creed: Brotherhood, with each yearly release becoming slightly more disappointing than the last - the only exceptions being Assassin's Creed IV: Black Flag and Assassin's Creed Rogue, which were arguably better pirate games than they were Assassin’s Creed games. Things finally came to a head last year with the release of Assassin's Creed Unity, which was so broken and bug-filled at launch that Ubisoft gave away some of its DLC for free and gave season pass holders the choice of a free game as an apology. 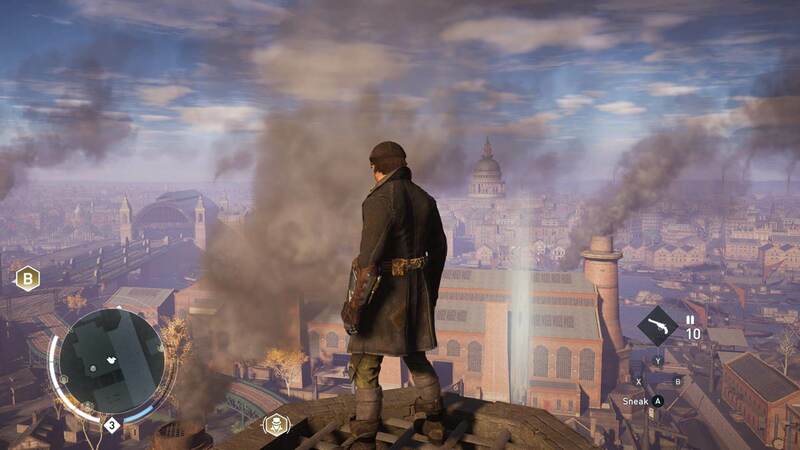 Thankfully Assassin's Creed Syndicate stops that trend by stripping away much of the excess baggage that the series has picked up and returns the franchise to its early roots in the new setting of Industrial Era London. 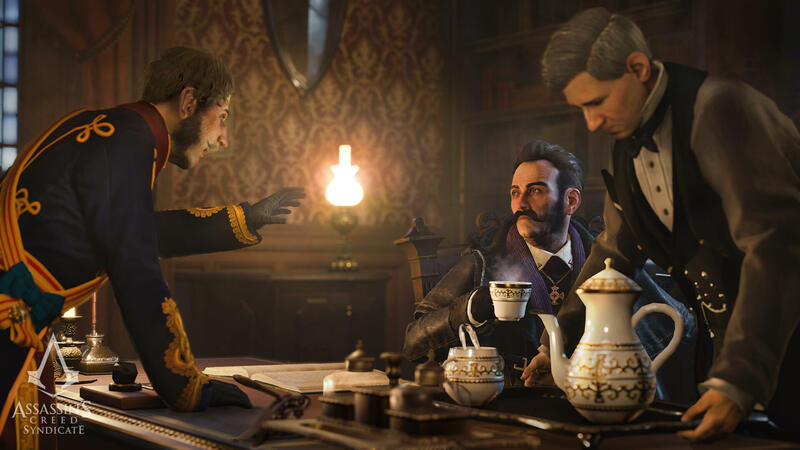 Assassin’s Creed Syndicate sees the time-jumping, historical series take its first real leap from the Medieval Age into 1868’s Industrial Revolution-era, Victorian London. With the Assassin’s Order in England’s capital all but wiped out, the city is under the control of Templar Grand Master Crawford Starrick, who influences and controls all of the city - from its medicine and finance to its industry and criminal underworld. There is also finally some progression in the modern day story that seems to have stalled since the end of Assassin's Creed III. This time around they take the form of infrequent cut scenes that last just long enough to be insightful and add something to the overall plot, but never so long that they outstay their welcome. 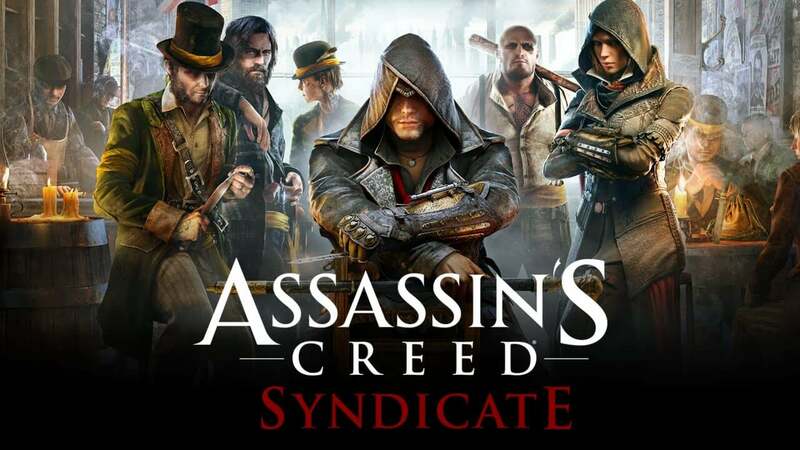 For the first time in the series, Syndicate provides two playable characters in the form of twins Evie and Jacob Frye, who have contrasting personalities and motives for disobeying orders from the Brotherhood in order to head for London. Jacob plays the part of a lovable rogue; suave, sarcastic and at times hot-headed, he wants to take back the city and fight the Templars head-on by forming a rival street gang called the Rooks. His older sibling of four minutes, Evie, is a much more devout Assassin and sees the greater picture as she remains focused to her primary objective of finding a missing piece of Eden which is rumoured to be in London, while at the same time constantly tidying up the mess her brother makes. Both protagonists are extremely likable characters for very different reasons, and you are free to switch between the pair throughout much of the game, as you take on side missions and open world objectives with whichever sibling you please. The main story missions are different, however forcing you to play as one twin or the other depending on which of their goals the mission is working towards. This works extremely well in keeping the story feeling fresh by providing an ever-changing dynamic, also allows you to learn more about each sibling individually, and adds weight to their opposing viewpoints. As a pair the dialogue they share is extremely well written, and by playing as both, you are in the unique position of being able understand both sides of their relationship - which is laced with sibling rivalry and often ends in disagreement. It also helps you to piece together a picture of their upbringing very early on and gives you the feeling that you've known them for years, despite this being the first game they have appeared in. 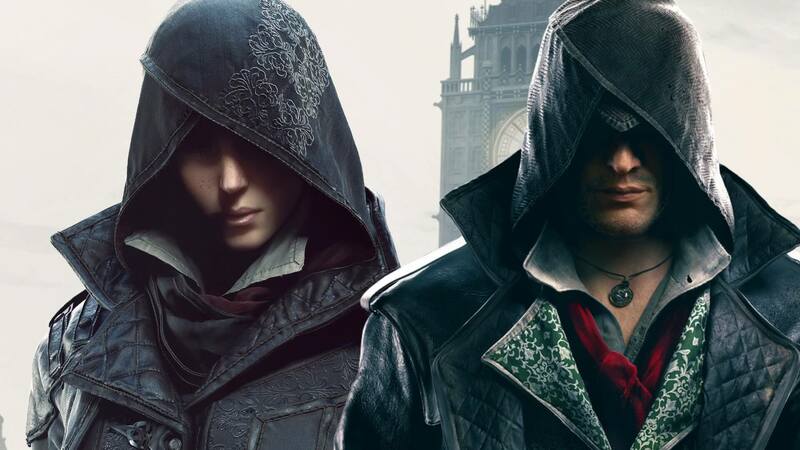 Although both characters were billed as being very different in playstyle, with Jacob being more proficient in combat, and Evie more adept at stealth, the twins unfortunately play largely the same. Both have individual skill trees that you can upgrade as you progress through the game by spending skill points, but both are practically identical with only a handful of skills locked to one sibling or the other. Even when deliberately trying to fill Evie’s stealth tree and Jacob’s combat tree first, there wasn’t a huge difference, and by the time you reach the end of the game and both characters are fully upgraded, the only noticeable differences are the fact that Jacob’s attacks are a little bit more powerful, and Evie could stand still to become almost invisible. It’s a shame that the idea wasn’t developed and explored further, as outside of story missions there really is very little point to switching between the characters. Syndicate’s main story missions seem longer than in previous titles, and whilst each one is basically asking you to perform tasks that we have already been doing for years, the characters and story help them all appear surprisingly unique. There’s also a feeling that the developers have allowed much more freedom to approach missions any way that you want, with far fewer missions causing an instant fail for being spotted. One of the best new additions that further increases the feeling of player choice is the introduction tactical choices before some of the larger assassination missions. If you wish you can ignore these options completely and run in and try to take out every guard in sight before fighting your target to the death, but quite often the best and most rewarding choice it to the follow the game’s lead by stealing a key, kidnapping an influential person who can get you next to your target, find a secret passage, or even pose as a dead body in order to get up close without being detected. It adds a new element to each of these missions and also adds some replayability, allowing you to explore how choosing different options can affect the final outcome. Similar to previous games in the franchise, outside of the main story you can take part in many side objectives that help to reduce the Templar control in that district of the city. These missions take the form of much more repetitive objectives than the main story missions, but the way that they are linked into the overall story works far better than in previous iterations. It made much more sense to be fighting gang bosses, hijacking cargo and liberating children from the oppressive factories than climbing towers to light a torch has done in the past. 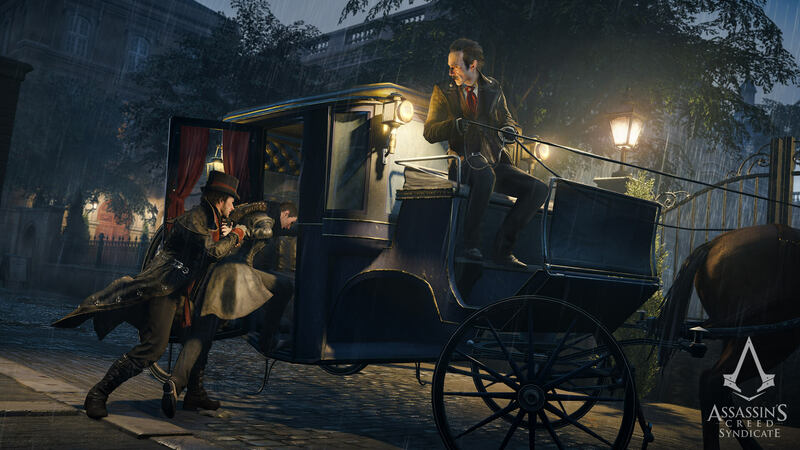 The game’s supporting cast of characters is larger than it has been previously, and all of them are a joy to encounter, offering memorable missions that range from escorting Benjamin Disraeli’s wife through the most dangerous part of London, stealing uniforms for Frederick Abberline, and hunting occultists whilst dressed as Sherlock Holmes. There’s a far greater sense of fun to Syndicate than we have seen previously from a series that has sometimes taken itself a little too seriously, which helps keep the game interesting throughout. The story's main antagonist, Crawford Starrick, is one of the more fleshed out villains that the series has seen, and is the type of enemy that you will love to hate. At times he remains surprisingly calm despite his grip on London loosening with each defeat, and at others he is filled with murderous rage, but whichever mood you find him in, he’s always interesting to watch and plays the role perfectly. The game’s location of London is a character in itself, although it’s not completely correct geographically. Ubisoft Quebec have done a brilliant job of recreating many of its most well-known landmarks and found fun ways to incorporate them into different missions throughout the story. Each area of the city has a different look and feel to the next; poorer areas such as Whitechapel feature muddy streets and a skyline filled with large chimneys bellowing thick black smoke into the air while the more upmarket Westminster has tree lined roads and the Houses of Parliament. The whole city feels alive and full of things for you to discover and do. The addition of the horse and carriage plays a large role in how you navigate around the huge open world, and whilst this is by far the quickest form of travel, they aren’t as fun as using the new rope launcher which acts as both a grappling hook to scale buildings faster and as a zip line to cross London’s wide streets. It’s almost like playing as an 1800's Batman (although at a much slower speed), and helps to take away a lot of the monotony that comes with having to scale the world’s larger buildings. Thankfully the map is much less cluttered and overwhelming than in recent iterations whilst still offering a lot of content for those that want to seek out and do everything this city has to offer. At one point the story does require you to have liberated a set number of districts in order to progress, but aside from that they are for the most part optional, although they do provide a nice break from the longer and often more intense story missions. Perhaps the biggest plus point in Syndicate is how simplified it is. Gone are the ridiculous chests that required the use of a second-screen app to open, and both the multiplayer and co-op have been removed completely. That may be a negative to some, but it seems clear that the focus of development on just the core single player element has helped provide a much more polished and stable game this time around. It’s not quite perfect - there are still the odd moments of AI characters floating in the air and a few moments where frame rates stutter which take you away from the immersion that the game creates - but none of these bugs have interrupted game progress. The controls for the game feel like they are much more refined too, with far fewer instances of your character trying to climb over objects that you intended to walk past and moments of being stuck to walls. There’s also a much smaller choice of weapons to use in combat. Gone are the weapon wheels that enabled you to carry multiple short and long ranged weapons. In its place you choose one main weapon for each protagonist for short range combat, and long range projectiles are now tied to the D-pad allowing you to quickly and easily switch between throwing knives, pistol or smoke bombs. The game’s achievement list is slightly lazy and very much what we’ve grown to expect from the franchise in the past. Each story sequence/mission will reward you an achievement, as will doing the secondary objectives and side missions that will help liberate the various boroughs of the city. There is, of course, the returning achievement required for earning 100% sync in all main missions, although it does seem to be much easier this time around than previously. The remaining half of the achievements are linked to the game’s various collectibles - although they will appear on your map once you synchronize each of the areas viewpoints, thankfully. Last there is the obligatory complete X number of Y actions, which can be mopped up in free roam should you miss any whilst playing through the game. 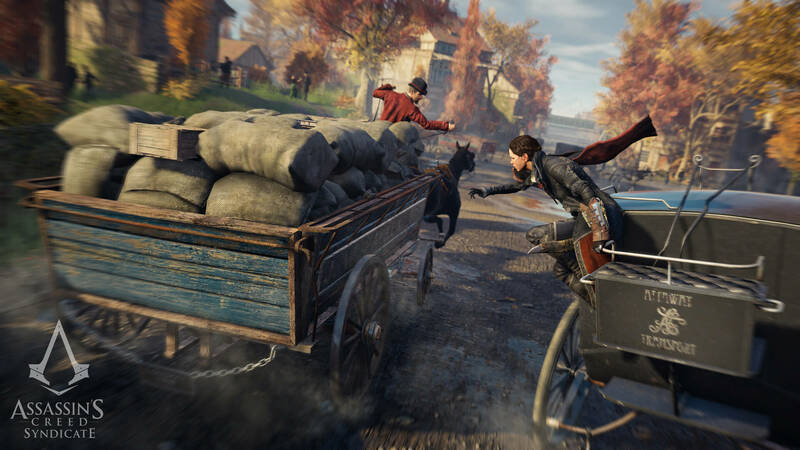 Assassin’s Creed Syndicate is thankfully a fine return to form for the franchise. The combination of an interesting and diverse cast of characters and the entertaining and compelling story sit perfectly in the beautifully recreated 1860’s London. 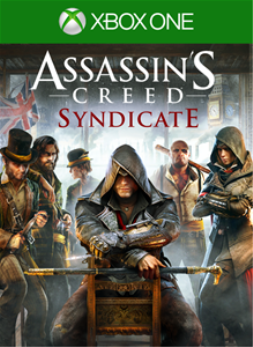 It doesn’t do everything to solve all the series’ problems, missions can feel repetitive and there are some minor AI bugs that will shatter the sense of immersion occasionally, but by taking a step backwards and removing much of the excess baggage that the series has accumulated over the years of annual releases, Syndicate has become the best Assassin's Creed since Brotherhood. The reviewer spent 33 hours ridding London of Templars, completing the game's story and many of the secondary objectives along the way, earning 27 of the available 49 achievements. This Xbox One copy of the game was supplied by the publisher for review.